One of our destinations was the reputed site of a 19th century hut. We were looking for signs that the flats beside the creek had once seen habitation. 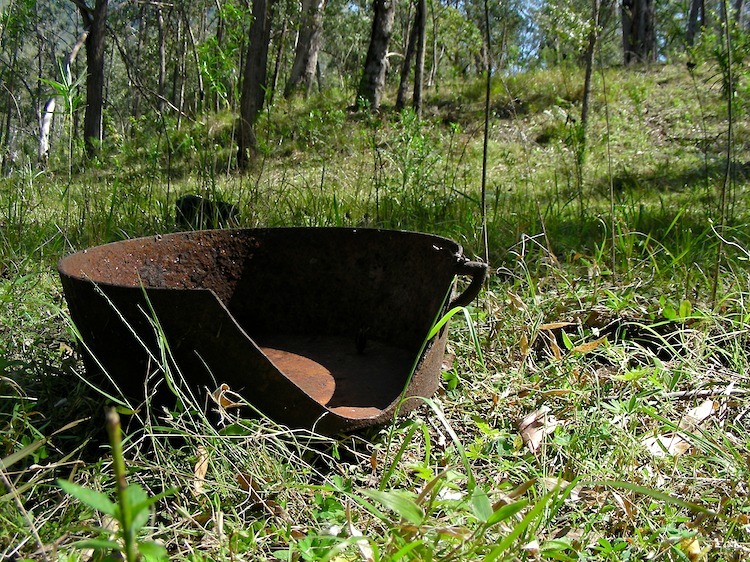 This old camp oven was found nearby, but it could date from a later period.